Coffee ain’t just your average beverage, it’s a reason to get out of bed in the morning, it’s your saviour when your boss calls you into work and you were up until 3am the night before. Plus, without coffee, there wouldn’t be espresso martinis that keep you partying until 3am. So when it comes to the time(s) of day that coffee calls your name, why settle for an average coffee, when you could get for a coffee from Third Time Lucky? The brand spankin’ new establishment brought to you by the same gurus that gave us Devour have opened up at Shop 4, 436 Henley Beach Road Lockleys. Besides the coffee, they’ve also got bagels and donuts. 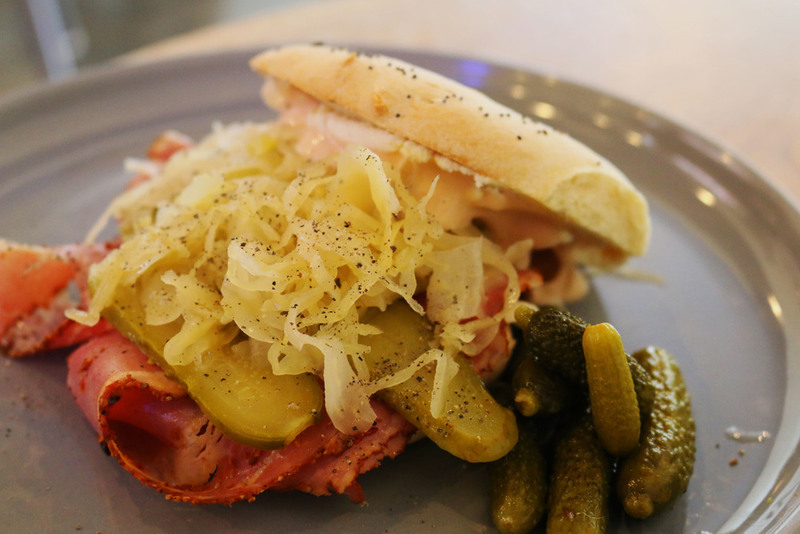 Third Time Lucky are supplying bagels in demand, just have a suss of the menu, I won’t tell you what to do but there’s every chance that you definitely need to try the pastrami one, it does things. Amazing things. Then there are the donuts, With a few being pumped out each day, you’re can never quite guess what’s going to be in store. Rumour has it however, there’s a green tea matcha donut. It may even turn an average day into the day you’ll never want to eat anything that’s not said donut or the pastrami bagel. Whilst they may not quite outshine the donuts, there’s also cookies and a few other sweet goodies to fulfil your sweet tooth. Back to the coffee again, sourcing their house blend from 5 Senses, for all your daily caffeine needs, consistency is pretty much guaranteed. Whether it’s a long black, a latte, a flat white or maybe a ristretto, you’ll be satisfied with whatever you choose. However, if you’re after something a little extra special, try giving the filter a go. Using the v60 brewing gear, Third Time Lucky source single origin beans from a range of different sources which are always carefully selected to give you the best drinking caffeine experience. To be completely honest, the best way to describe the Third Time Lucky experience is like being a kid in a candy shop, only here I’m an “adult” in a coffee shop, surrounded by all of the good stuff. Happiness = achievement unlocked.